Blades of Steel is still good fun even today! 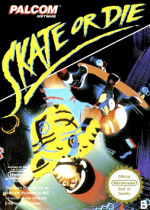 Another NES game in the shape of Skate or Die is also up for grabs on the VC today. 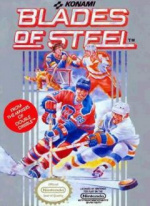 It's quite a fun skateboarding game but unlike Blades of Steel it has aged less well. The controls feel a bit clunky by today's standards and the gameplay gets repetitive after a short while. Still childhood fans will no doubt be ecstatic to play this again - I would advise waiting to see if California Games comes out instead! To complete the non-festive trio is a TurboGrafx-CD game: Monster Lair. This is a part of the Wonderboy series indirectly but shares little in common with the original arcade platformer or the RPG-lite incarnations of the games. Instead this game is more of a cutesy shoot-em-up and shallow platformer rolled into one. It gets repetitive quickly and compared to other similar games from the era it doesn't have much to recommend for today's audience sadly! Wow, too bad for you guys, I would have thought n64 for christmas, but blades of steel is a cool game, but it is dated no matter what they say. Yeah, not the best Christmas present I've seen. ah well, i guess after last weeks 2 great releases it was expecting too much to hope for another good week straight after. they could have at least made an effort for christmas tho but maybe theyre saving it for new years week, we can but hope anyway. HAPPY CRIMBO EVERYONE!! Hmm. i'm predicting donkey kong country 3 and king of fighters 94 for america's games on monday. maybe we'll get our christmas games next thursday? Remember that this isn't necessarily the Christmas update - Christmas is closer to next week's update than this one, so I expect next week to have some good games. well i've finally decided to download sin & punishment this week. its downloading right now. i had a card ready for tonights releases but none interested me. i've been putting it off, downloading old favorites first but i thought its about time i should. I'm trusting that its as fun as everyone says it is. will the mortal kombat series ever be in the vc collection? Umm...think about what games we got last week europe whiners. I wonder why we keep getting the games based on American sports (that have little popularity here) before the Americans? Surely there's better games for them to add that we haven't got yet! All I want for xmas is Rondo of Blood, Next Thursday would be fine. No Rondo of Blood, but I'll wish everyone Happy Holidays and a peaceful New Year! Next year should see VC go from strength to strength! "I wonder why we keep getting the games based on American sports"
How is hockey an amarican sport? Granted they own most of the teams simply becuse they have mor money... But the players are mostly canadian. Not to mention the fact the the game was invented in canada. Heck even the Zamboni was invented in canada. Wow I'm hoping US doesnt get coal in it's stocking like EU just got on Monday. Not great, but hey Im liking the EU stuff more than ours. They get Skate or Die and Blades of Steel two classics... While we will get another stupid Pokemon game and two games noone has ever heard of. Why does they name it wii shop channel. The real name should be trashcan channel. How come theres an MA (OFLC-MA=ESRB-M) rated game on the channel . And as a response to those complaning about this weeks release they may not be gems to you or me but they are to somebody so in fact i dont have any complaints on what's been released in the VC . Anyway, you EU guys got some good stuff. I do think America got better stuff recently, but I really do think that Blades is a great game that I hope us americanos get soon. MonarK, the real problem is getting western publisher games onto the VC. We have yet to see anything from the likes of EA, Midway (MK), Acclaim, or Ubisoft. Warsong, River City Ransom, and Shining Force II would be my Christmas wishlist for NA on Monday. But absurdly lofty hopes and dreams aside, I don't see why people complain about the VC releases every week. Nintendo doesn't "owe" us a certain type of game, no matter how much revenue they reap off the VC. It's a moneymaking venture, and it's been pretty successful so far. As long as people will shell out the dough for something like Urban Champion, then they can release whatever games they want, and we should just be thankful for the rare gems we get. Super Metroid alone is enough to make me tolerate 100 terrible VC releases. No surprise that Nintendo couldn't keep up with the last week. 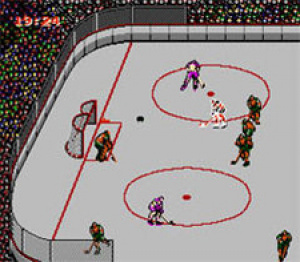 Still Blades of Steel or Monster Lair will find some fans. "How is hockey an amarican sport? Granted they own most of the teams simply becuse they have mor money... But the players are mostly canadian. Not to mention the fact the the game was invented in canada. Heck even the Zamboni was invented in canada." But yeah, the sport is pretty popular in Europe too, particularly here in Scandinavia. 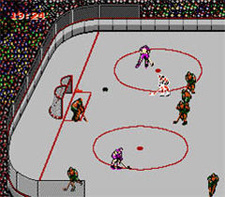 And Blades of Steel IS a great game. just imagine if they were to pull the virtual console because everyone's complaining about the games they release....the fact that they release 3 games weekly is DAMN good, even if they aren't always 3 of the best games for the systems.....have faith that, and even though it might not be right away, all of our favorite games will be released.....i mean realistically how many garbage games can they STILL have yet to release? and even if they have a lot of garbage they CAN release....they're doing it 3 a week....i don't remember THAT many terrible games available for the systems on VC....so have faith my fellow gamers! I think the point is more that Nintendo didn't seem to make much of an effort for Christmas. Given that we've seen special releases in the past, tying in with new games like Metroid Prime 3, or the Hanabi festival, a lot of people were expecting some kind of special event for Chrimble too. Perhaps next week, as Drake says.